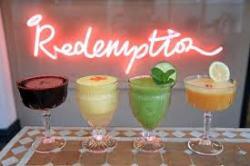 Join the Redemption family and our energetic kitchen team at Notting Hill (London, UK) to help us create delicious whole food vegan dishes. We require passion and pace, a happy face, bags of empathy, energy and talent. We work in an open kitchen space as one team, supporting each other, listening to each other and helping each other succeed. We have three thriving restaurants and plan to grow organically in our own time.